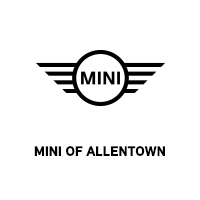 Chili Red 2019 MINI Cooper FWD 6-Speed 1.5L 12V TwinPower TurboContact Daniels BMW directly or send a request via email to schedule your test drive today! Daniels BMW is a 12-time winner of the Center of Excellence award, making it the most celebrated BMW dealership in the nation. White 2019 MINI Cooper S FWD 6-Speed 2.0L 16V TwinPower TurboContact Daniels BMW directly or send a request via email to schedule your test drive today! Daniels BMW is a 12-time winner of the Center of Excellence award, making it the most celebrated BMW dealership in the nation. Gray 2019 MINI Cooper S FWD 6-Speed 2.0L 16V TwinPower TurboContact Daniels BMW directly or send a request via email to schedule your test drive today! Daniels BMW is a 12-time winner of the Center of Excellence award, making it the most celebrated BMW dealership in the nation. White 2019 MINI Cooper Clubman AWD I3Contact Daniels BMW directly or send a request via email to schedule your test drive today! Daniels BMW is a 12-time winner of the Center of Excellence award, making it the most celebrated BMW dealership in the nation. Silver 2019 MINI Cooper Clubman AWD I3Contact Daniels BMW directly or send a request via email to schedule your test drive today! Daniels BMW is a 12-time winner of the Center of Excellence award, making it the most celebrated BMW dealership in the nation. Burgundy 2019 MINI Cooper Clubman AWD I3Contact Daniels BMW directly or send a request via email to schedule your test drive today! Daniels BMW is a 12-time winner of the Center of Excellence award, making it the most celebrated BMW dealership in the nation. Silver 2019 MINI Cooper FWD 6-Speed 1.5L 12V TwinPower TurboContact Daniels BMW directly or send a request via email to schedule your test drive today! Daniels BMW is a 12-time winner of the Center of Excellence award, making it the most celebrated BMW dealership in the nation. Orange 2019 MINI Cooper FWD 6-Speed 1.5L 12V TwinPower TurboContact Daniels BMW directly or send a request via email to schedule your test drive today! Daniels BMW is a 12-time winner of the Center of Excellence award, making it the most celebrated BMW dealership in the nation.